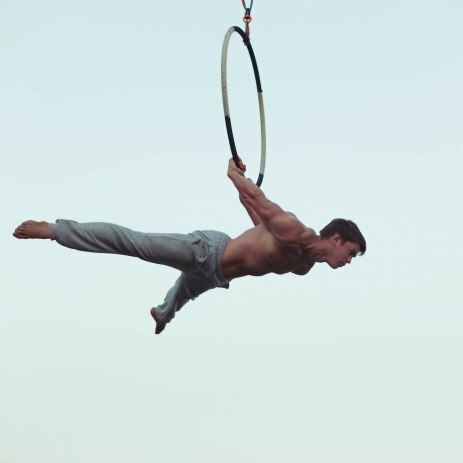 Fill out our simple form and get quotes from local aerialists. Aerialists are thrilling party entertainers. Add to Event helps you find a wide selection of aerialists for hire in your area. Get a quote from aerialists for hire for your special event. Your guests will be spellbound. Sanna is a professional aerialist specializing in silk, rope, loops, and trapeze. Aerial trapeze and loops are offered on a portable rig suitable for indoor or outdoor. Based in Sussex. We can provide you with a duo or solo Ariel artists to perform at your event. We have our very own Free Standing Aerial Rig . This is great for Hoop , Silks and also Champagne meet and greet - Ideal for any occasion or event. We have a stunning portable aerial rig standing 4ft-11ft tall. Perfect for parties, weddings, events or festivals. Indoor or out! We are AirCraft Circus Performance and have multiple aerial acts for hire or full shows.